Most divorce attorneys will tell you that financial stress in a marriage and significant financial debt, specifically, is one of the leading causes of divorce in America. While, in many cases, both parties can be quick to divide marital assets, they are more likely can move more slowly when the divisible item is marital debt. The starting point to any proper financial division of marital assets and liabilities during divorce proceedings is full financial disclosure. Each party is obligated under Missouri law to advise the other of his or her financial situation – assets and liabilities – and identify marital debt and property. The parties with the assistance of their divorce lawyers must work to divide the marital debt that was accumulated during the marriage. In the event the parties are unable to reach an agreement on the family court judge is tasked with the responsibility of making an equitable division. All property, whether real or personal, acquired during a marriage is considered marital property. Likewise, all debt incurred during the marriage is considered marital debt. During divorce proceedings, all marital property and debt is divided by agreement, and its terms are placed in a marital settlement agreement or by the decision of a family court judge in the event the parties are unable to agree to acceptable terms. The decision to divorce, especially if you are faced with financial difficulties, is challenging. Understanding your rights, responsibilities, and obligations is necessary to ensure you come out of the divorce process in the best possible financial state. If money problems have contributed to the dissolution of your marriage, money problems will likely continue after your divorce adequate planning is not made, during the divorce process, to secure your financial future. 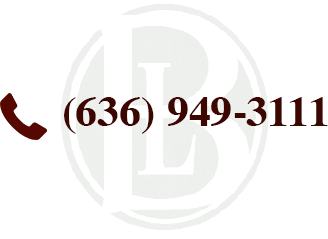 Call the The Bellon Law Group, without further delay, to schedule a comprehensive review of your case. If you have questions about commencing a divorce, grounds for divorce, how custody and child support determinations are made or are in need of legal representation to obtain a divorce in Missouri, contact The Bellon Law Group today to schedule a comprehensive case consultation.